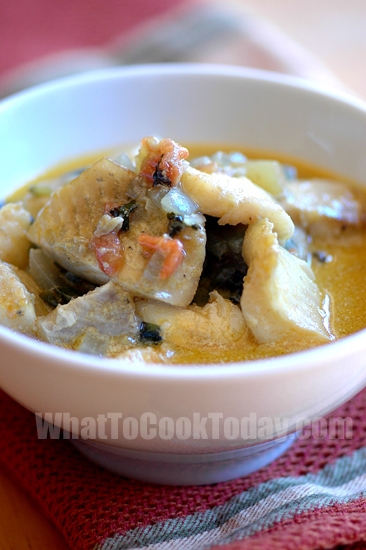 Fish is used in a lot of dishes in Sri Lanka and curry is no exception. We eat lots of curry in Southeast Asia and the same applies to South Asia. I think Curry is one of the most well-known International dish around the world with hundreds of varieties. I decided to give this Sri Lankan Fish Curry a try because I wanted to taste and see how different it is with the curry in Southeast Asia. I know particularly in Indonesia, curry is usually cooked with quite a fair bit of coconut milk, resulting in thick and rich curry. The Sri Lankan Fish Curry also calls for coconut milk, however it is quite a humble amount compare to what I used to fix. 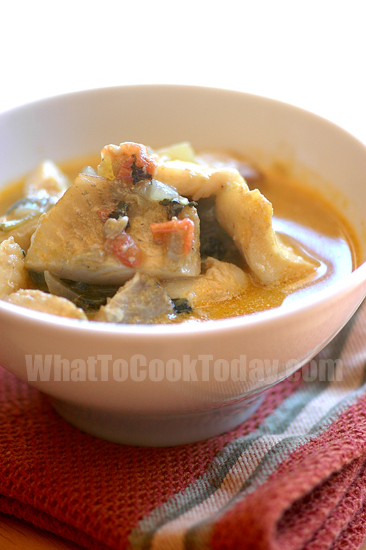 I really enjoy this Fish Curry because it is very flavorful from all the spices used and it is very light and creamy. It made me not feeling guilty when I couldn’t stop spooning that gravy into my mouth.